B12CORE ha realizzato Operation Libra, homebrew per DS del tipo "Escape the room" dove sara' necessario (come e' ovvio) uscire dalla stanza in cui si e' intrappolati. Operation Libra is not a demo. 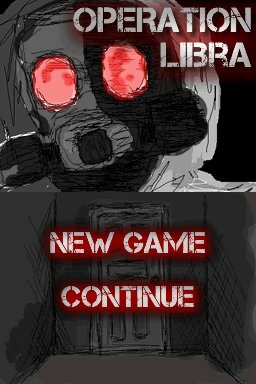 It is a full version of the game. Originally made in Actionscript for an in-school class, the game was originally named Entrapment. Over the course of a month, the art and game engine were created in Flash and was later used for the intended project. However, a month after, I decided to port this onto the DS and see how it would go. Within 3 weeks, the game was ported onto the DS with extra features that were not previously included in the original Flash project. 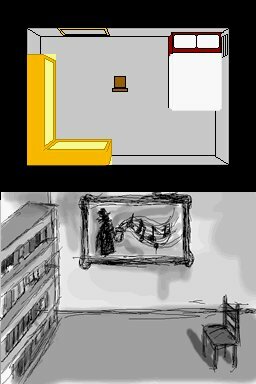 Although Operation Libra is an "escape the room game", the plot revolves the character escaping out of a mansion, with 9 rooms in total. There are 52 objects to examine, many of them interactive and required to escape out of the mansion. Every pixel of the environment art was designed by B12CORE and drawn by ALGraphics. The art was originally sized at 720 x 480, but was reduced to 256 x 192 in order to fit the DS proportions. If you are playing this on an emulator, you will be unable to save or load files. Saving and loading is a feature exclusive only to actual hardware. However, you can save and load states. In effetti se realizzato bene e' proprio un bel passatempo, amo i giochi del genere (seppur sia quasi negato *_*). Stasera lo provo di certo! c'è n'era un altro simile scritto da un francese, però non mi ricordo il titolo. Spero che questo sia facile perchè nell'altro mi ero bloccato dopo solo 4 schermate! !